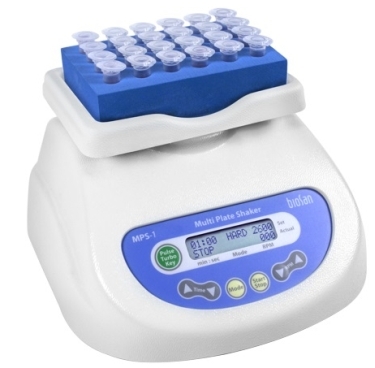 An economical all in one solution that takes up very little bench space, the Grant Bio MPS-1 is suitable for all high-speed shaking and vortex mixing of plates and tubes from 0.2ml through to 50ml. Efficient mixing of difficult samples, the compact pellets, small or the viscous samples. Versatile for its single tube vortex, to shaking of microplates, PCR plates, microtubes and deepwell plates.